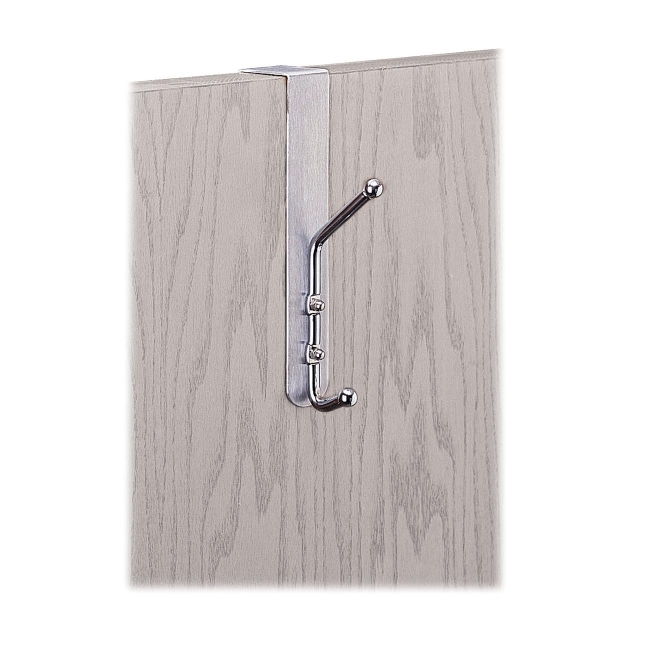 Stylish, durable, over-the-door double steel hooks feature ball tips to prevent damage to garments. Save space and reduce clutter by utilizing doors. Satin aluminum base with chrome hooks creates instant garment organization anywhere. Designed to slip over doors up to 1-3/4" thick. Make sure everyone has a place for their hats, coats and scarves. 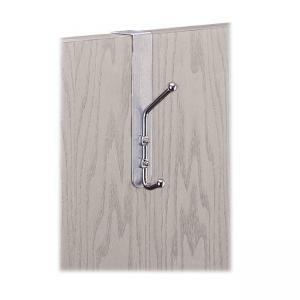 This coat hook can be used in your home or work office or in a cubicle.